The President of Caritas Asia: "Reviewing the lifestyle for the care of Creation and humanity"
Joint appeal of the Directors of the PMS of India and Pakistan: "Dialogue is urgently needed for the common good of our peoples"
Astana (Agenzia Fides) - It will be an important moment of confrontation and growth: with this spirit the Bishops of the Catholic Church in Central Asia will meet again next March 1st in Rome for the ad limina apostolorum Visit, the meeting that the Priests of dioceses all over the world live periodically with the Pope and with the Vatican dicasteries. During the visit the Bishops of the Central Asian Churches will be able to illustrate the peculiarities and problems of their region. The aim is to identify guidelines and new ways to carry out the proclamation of the Gospel and the mission of the Church, responding to the pastoral challenges of the present time, while the presence of the Catholic community in that area at the center of the continent is essentially structured in initiatives of prayer, ecumenism, charity. 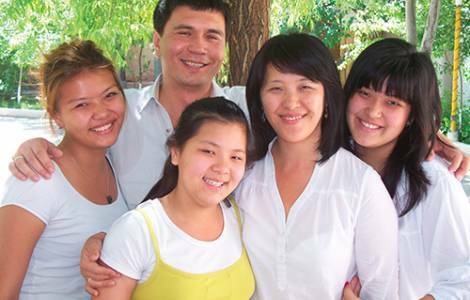 The Church in the Central Asian region today is a small flock which, overall, in a very large area, consists of about 118 thousand faithful according to the 2016 Statistic Yearbook of the Catholic Church: considering the various nations of the former Soviet area, there are 70 parishes in Kazakhstan (112 thousand faithful); 3 in Kyrgyzstan (1,000 Catholics); 2 parishes in Tajikistan (200 faithful); 5 parishes in Uzbekistan (3,000 baptized) and a community in Turkmenistan (200 faithful), who gather in the chapel of the Transfiguration of the Lord, in the capital Ashgabat. The Missio sui iurs existing in Afghanistan, a land where there are no local Catholics or churches in the area and where the faithful are only made up of foreign personnel must also be considered in the area. During the last ad limina visit, which took place on October 2, 2008, Benedict XVI welcomed the the Bishops and the Delegate for Greek-Catholic faithful in Kazakhstan, the Apostolic Administrator in Kyrgyzstan, the Apostolic Administrator in Uzbekistan, the Superior of the Missio sui iuris in Takjikistan and the Superior of the Missio sui iuris in Turkmenistan, inviting them not to be discouraged by the small number of faithful in their communities, and to take "the first communities of the Lord's disciples" as a model.